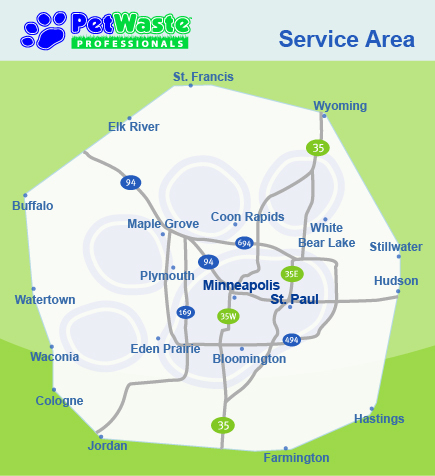 We provide our dog waste removal service to the entire Minneapolis – St. Paul Metropolitan area, and beyond. We are currently operating in the areas outlined below on our weekly routes. If you don’t see your particular city or zip code, please contact us as we probably will already be providing service close to your area.